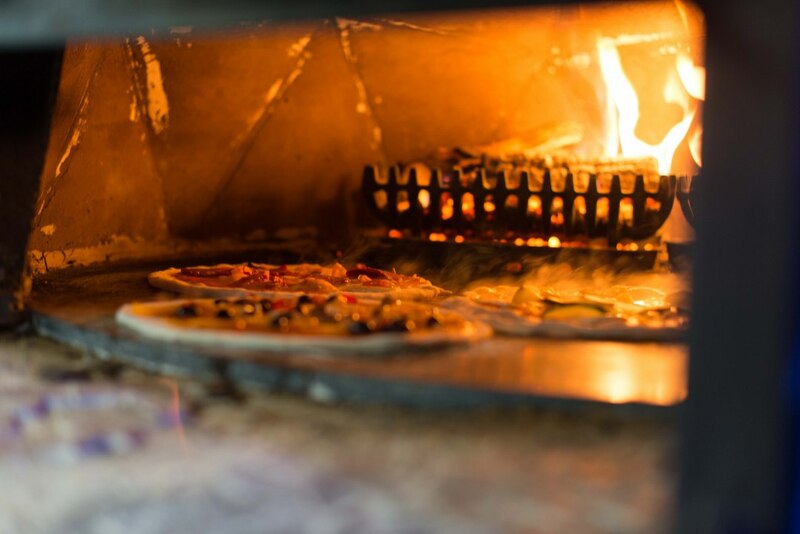 Sour dough pizza, baked with hand-picked ingredients and love in our sustainable wood-fired oven. 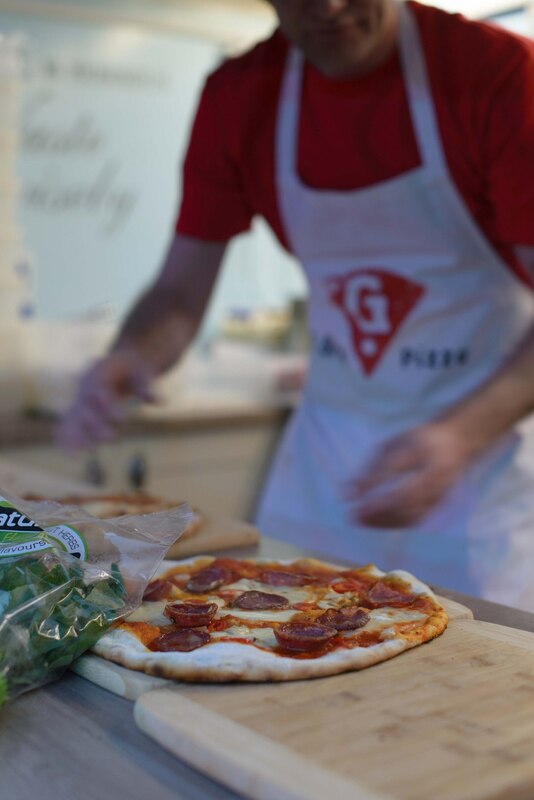 We are G Brothers Pizza, a pizza truck run by two brothers and we'll be putting out delicious sourdough pizza using the freshest local ingredients wherever possible, baked on our Italian soapstone in our beech wood fired oven. 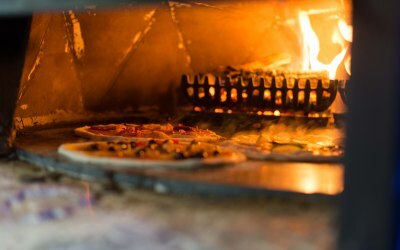 It is one of the largest mobile ovens in the UK, possibly Europe which means we can produce more pizza at a faster rate without compromising on quality. We'll provide food at all kinds of events. Wherever you need pop up high end fast food, we're there. 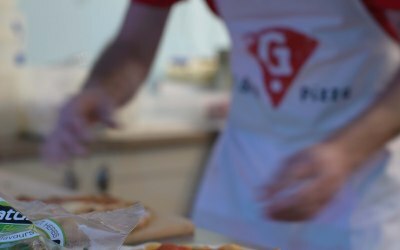 I’d highly recommend G Brothers Pizza for any corporate event, our guests were extremely happy with the quality of the pizza. Their time keeping and customer service was excellent. They just need a way of labelling pizza for people with allergies then they’re covering everyone. 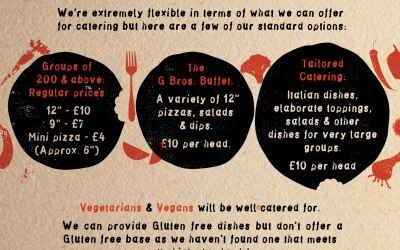 The G Brothers catered my event on 19th May - both pizzas & salads for dinner, and then breakfast sandwiches & an antipasti lunch the next day. 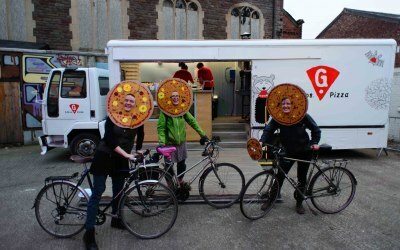 I was really impressed by the set-up - they have a really large van with a nice fold-out platform (where you approach and make your order/collect your pizza), and a full wood burning pizza stove in the back. The pizzas themselves were delicious - ingredients were really high quality, and everyone commented on how generously 'cheesed' they were. I was impressed by the ingredient sourcing - they went to some effort to pick cheeses and meats that were really high quality. 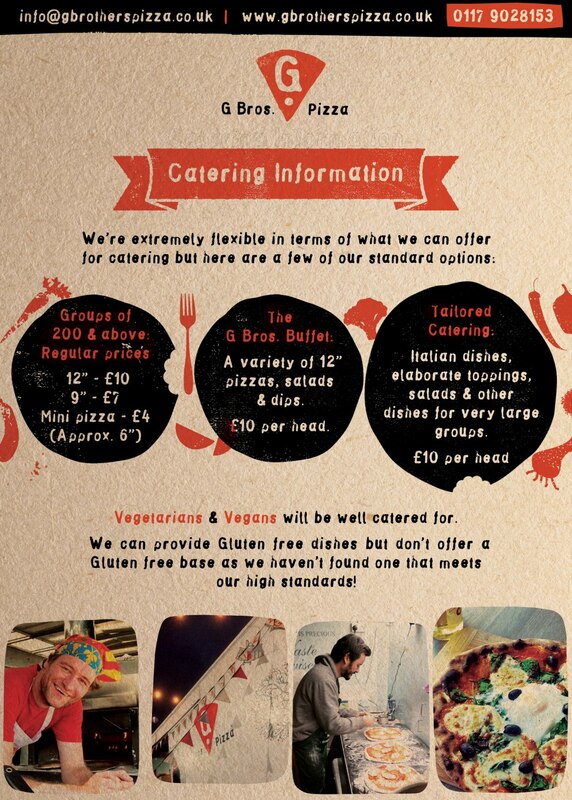 Would have no problems recommended them for an event - great pizza from a couple of great guys. And to top all that, the pizzas are amazing! Good quality fresh food and very very tasty!! Thanks Geoff and Gareth very much looking forward to working with you guys again! Get quotes from G Brothers Pizza and others within hours.